Charles is the former Global Chief Marketing and Communications Officer of JLL, the international commercial real estate company (from 2007 -2017). Previously, he was the Global Chief Marketing and Business Development Officer of Clifford Chance, one of the world’s larger law firms. He was a global marketing and communications director with Accenture, one of the world’s largest professional services companies, between 1997 and 2005: this included the global leadership positions in global brand development, service line marketing and global industry sector marketing as divisional CMO. 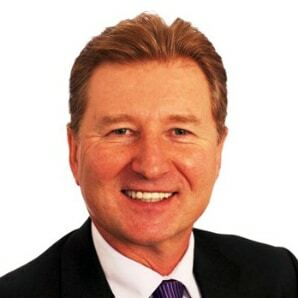 Charles has also held international marketing, business development and strategy executive positions for BT, Fujitsu Services and the UK Atomic Energy Authority. Currently, Charles is a senior advisor for ITSMA, an Executive Advisor for the VIM Group, an international brand asset management and development company and Emperor, a stakeholder communications agency. At ITSMA, Charles provides strategic counsel to ITSMA leadership on global expansion, new offerings, and points of view on marketing’s increasing role. Charles also leads or participates in ITSMA member meetings and events, advisory and consulting projects, and training sessions. In the not for profit sector, Charles is a Board Trustee of IAM Roadsmart (formerly The Institute of Advanced Motorists), a UK based road safety charity, and a Board Trustee of a London based Multi Academy Trust; he is an external advisor to Oxford University, a marketing advisor to the Liberal Democratic Party; He also runs his own marketing strategy consultancy company, Higher Frontiers. A published writer and conference speaker, Charles is the author of the widely acclaimed Oxford Dictionary of Marketing which is now in its 4th international edition. Charles attended the University of Glasgow where he was awarded a MA honors degree in English and History. He won a postgraduate place at Oxford University where he conducted historical research into French history. He was awarded a doctoral degree (D. Phil.) with merit from Oxford University in 1986. Charles plays competition golf, enjoys cycling, travelling to major cities and live theatre.